From Billboard - November 24, 1962: This is a lovely album, featuring warm and tender alto work by Johnny Hodges, showcased in mellow string arrangements by Oliver Nelson. 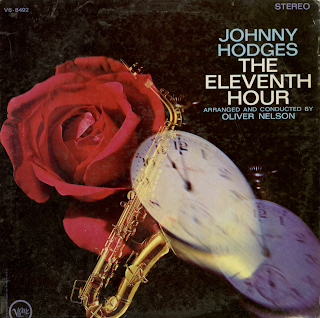 The backings contribute much to Hodges work and Hodges, in kind, has responded with some of his most moving and graceful solos. He is romantic on "Don't Blame Me," "The Eleventh Hour Theme" and "In a Sentimental Mood," and lightly swinging on "Guitar Amour" and "Solitude." Theme from "The Eleventh Hour"
Love Song From "Mutiny On The Bounty"